At one of my favorite restaurants (Joe & Maria’s), the chef Paul, had these stuffed peppers as a side dish to one of the specials of the night. Ever since I had them I keep thinking of them, and decided to try and make some. Well mine certainly were not as good as Paul’s, but these were pretty good as well. 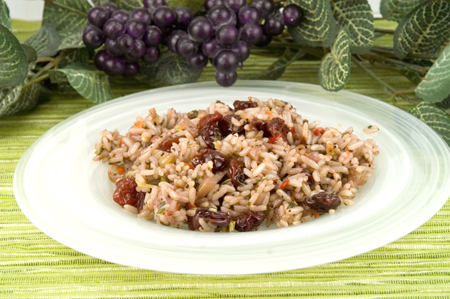 Basically, you want to make a good pilaf, with lots of flavor, and then add dried cherries. I happen to pick up some multicolored mini bell peppers at one of the warehouse stores, and thought this would be perfect to stuff them with. Not to mention, I’ve been pretty obsessed with dried cherries lately, and thought this would be the perfect time to try these. The tart, chewy, cherries compliment the savory rice in this dish. 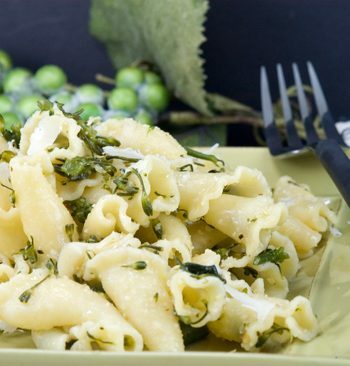 Eat as a side dish or as a main dish stuffed in peppers. 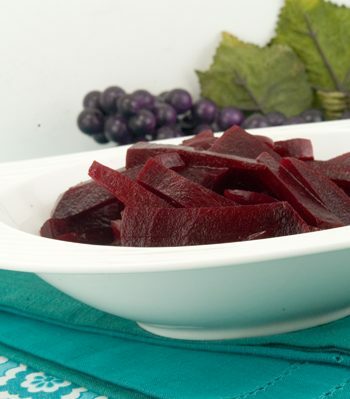 In a small bowl, mix the dried cherries and port and let stand while preparing the stuffing. Place dried cherries in a small bowl. Add port wine to the cherries. Set aside. Place 3-1/3 cups chicken broth, 1-1/2 cups rice, and 1 tablespoon of the butter in a saucepan, and bring to a boil. Lower heat, cover, and cook on low heat until all the broth is absorbed, about 20 minutes. Set aside. In a large skillet, melt the butter over medium heat. Add the chopped celery and cook about 2 minutes. Add the shallots and celery leaves and cook until softened, about 2 minutes. Add the dried vegetables. Add the cherries and their soaking liquid. Boil until the port has almost completely evaporated, about 3 minutes. Stir in the rice, along with the almonds, basil, salt and pepper. 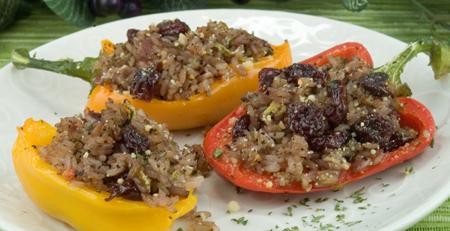 Use this rice as a side dish, or use to stuff peppers. *Mixed dried vegetables can be found in the spice section of most supermarkets. 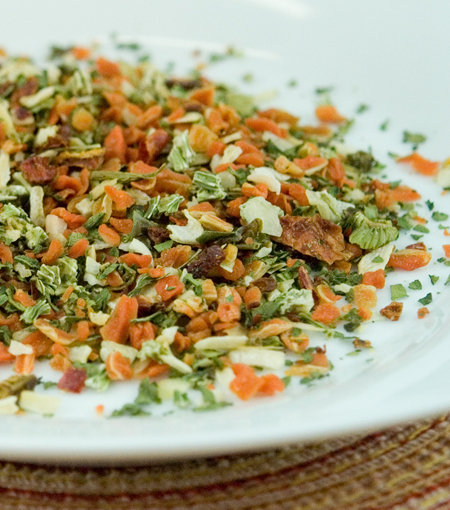 Mixed dried vegetables consist of: carrots, onion, tomato, spinach, celery and bell peppers.